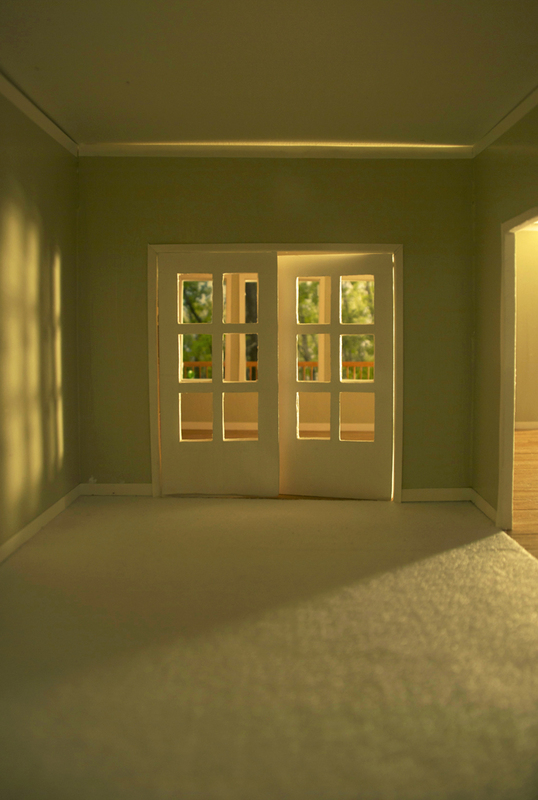 In the Home series (2011), I’ve recreated my childhood home from memory in a small-scale model. The resulting documentation of this miniature plays with the deception and inadequacy of the photograph while triggering the frustrations and failings of our own memories. The warm light masks the imperfections and pulls you inward, while hints of the miniature scale and hand-built incongruities push you back into reality.